Y ou think social media is reaching maturity, and the whipsaw behavioral shifts that change like a Dwight Howard trade request are things of the past? Uhhh, no. Released yesterday at Blogworld New York, findings from social media behavioral researcher Tom Webster and the team at Edison Research show some shocking changes in how Americans use and consume social media. 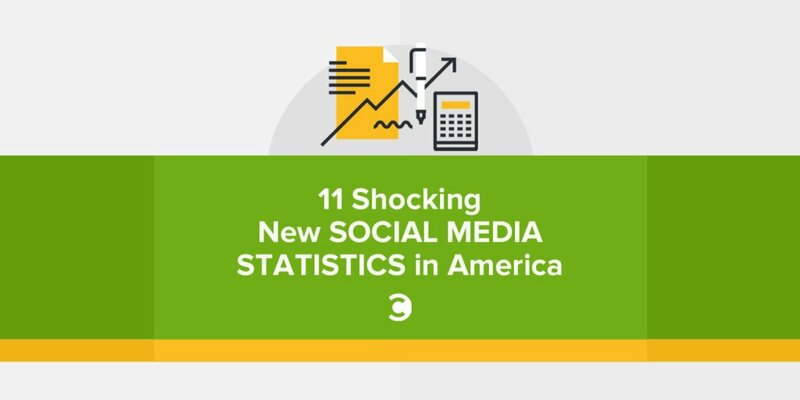 You can access the entire presentation at The Social Habit microsite, but 11 social media statistics in particular stood out for me. Two quick notes: This is not data dredging. This is real, random sample, tightly controlled research from the same company that is the exclusive provider of Presidential exit polls in the USA. This is the last time the entire research from Edison will be released for free. It’s just too valuable to be given away wholesale, considering it costs tens of thousands of dollars to produce. But you can get exclusive access to the Social Habit research when it’s refreshed and expanded in early Fall. Sign up now for a sneak peek. And if you’re interested in including a question about your company or a category of social media usage of particular interest to your organization, that may be an option (click for details, fees apply). I’m partnering with Edison Research, Jason Falls, and Mark Schaefer. 1. 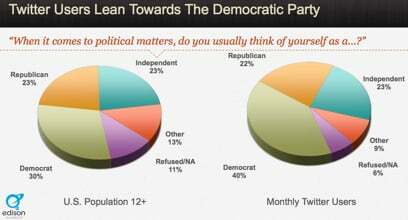 Twitter users are 33 percent more likely to be Democrats. An interesting finding, and representative of the type of custom queries we can answer for you in the next round of the Social Habit, this edition found that 40 percent of Twitter users are Democrats, compared to 30 percent of the U.S. population overall.The percentage of Republications and Independents on Twitter mirrors the U.S. average almost precisely. 2. The “Check-in” is the phenomenon that never happened. 74 percent of Americans are unfamiliar with the concept of checking in to a location via mobile device, and only three percent have ever checked in. Even more damning, is that four percent had checked in when surveyed in 2011. This is a 25 percent decrease in check in behaviors in a single year. It’s not going to rebound, which is why Foursquare’s play is to be the new Yelp. 3. Only 33 percent of Americans have ever followed a brand in social media. From 2010 to 2012 the percentage of Americans following any brand on a social network has gone from 16 percent to 33 percent. This is a sharp increase, but looked at from the opposite perspective, it’s shocking to me that two-thirds of Americans using social networks have never followed a brand.Companies still have substantial room for growth in connecting with customers and fans on social networks. 4. 56 percent of Americans have a profile on a social networking site. This is up from 52 percent just last year, and 48 percent in 2010. How high can this climb? Certainly, there are sizable chunks of the populace that will never join a social networking site, but it’s amazing to consider that significantly more Americans (12 years old and up) have a social networking profile than do not. 5. 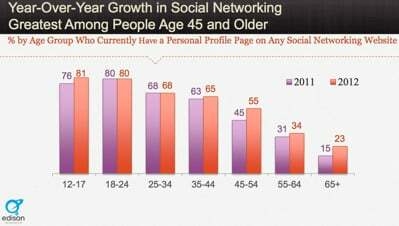 55 percent of Americans 45 to 54 have a profile on a social networking site. It’s not just for kids any more. The biggest growth of any age cohort from 2011 to 2012 was 45–54 year olds, who now exhibit participation matching the U.S. average. The only group that is below average are 55+ Americans, and even 3 out of 10 of them are in the social networking game. 6. 22 percent of Americans use social networking sites several times per day. It really is a “Social Habit”. 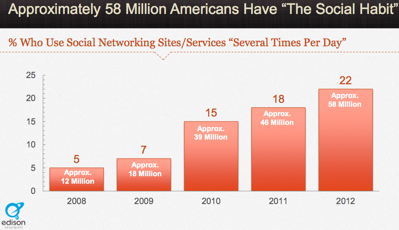 In the past year, 12 million more Americans are using social networking many times daily. How many other things do we do several times per day? It’s not a long list. 7. Huge uptick in Facebook’s influence on purchase. Last year, 68 percent of Americans using social networks said that none of those networks had an influence on their buying decisions. This year, just 36 percent said that there was no influence. Now, 47 percent say Facebook has the greatest impact on purchase behavior (compared to just 24 percent in 2011). Incidentally, Twitter ranks below “other” at five percent. If you want to drive purchase behaviors within social networks, Facebook is the one and only game to play, statistically speaking. 8. Facebook via mobile continues to be a major factor. 54 percent of Facebook members have used the social network via a phone, and 33 percent use a phone as their primary way to access Facebook. This despite the fact that the Facebook mobile experience and mobile apps are mediocre, at best. Here’s hoping the Instagram guys can jump start it. If so, watch for these numbers to soar. 9. Facebook is the most addicting of the social networks. 23 percent of Facebook’s users check their account five or more times every day. The mean number of daily look-ins by Facebook users is four. Are we really so interesting that we have to keep up with our friends’ inanities every 90 minutes? Evidently, yes. 10. Twitter will have an easier time making changes to its core service that Facebook does. 53 percent of Twitter users have been a member for less than a year, compared to just 19 percent for Facebook. This means that Twitter’s user base doesn’t have long-term, deep seated expectations for what Twitter is or should be. It will be interesting to see if Twitter doubles down on this advantage, and continues to hang ornaments on the functionality Christmas tree. 11. 76 percent of Twitter users now post status updates. This is one of the biggest behavioral changes of the past two years. In 2010, the Social Habit research found that just 47 percent of Twitter users actually sent tweets, with more than half the user base in listen-only mode. The overwhelming majority of new Twitter users are active tweeters, driving the overall average to 76 percent. In the next edition of The Social Habit, we’ll be looking at YouTube, social video, Pinterest, Instagram, and more. Plus, if you’ve got questions you’d like to ask thousands of Americans via the best social media research methodology available, let’s talk. Get on the list for The Social Habit now. 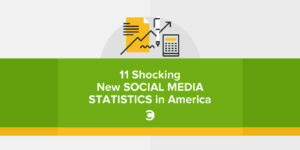 Which of these 11 is the most shocking social media statistic? I’ll go with #7 and #11. You? Get every episode of the Social Pros podcast delivered to your app or tool of choice. Thank you for your support!